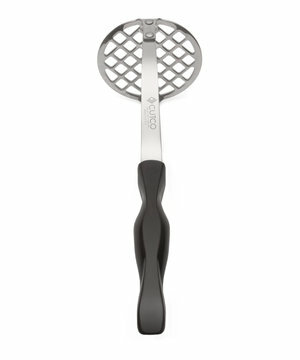 Bestseller $65 An absolute essential in every kitchen. 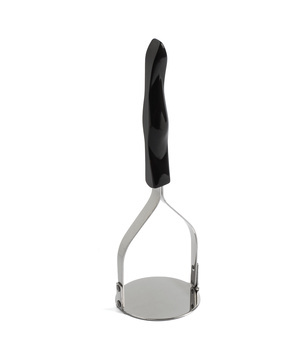 Perfect for paring fruits and vegetables like apples and potatoes. Super-sharp short blade for maximum control and precision cutting. Create vegetable platters, fruit salads and decorative garnishes like radish roses and celery curls. 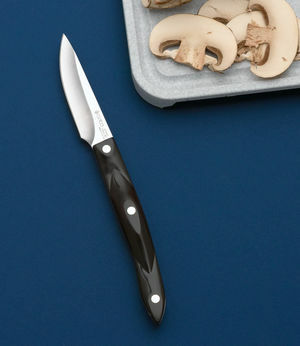 $67 Designed for intricate cutting, this knife is great for fluting mushrooms or creating vegetable garnishes, like radish roses. 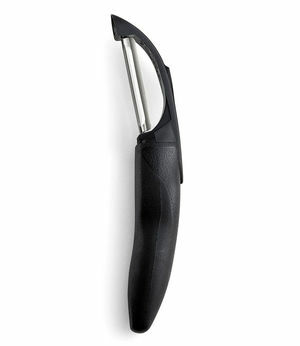 The special curved blade makes easy work of paring small round fruit and vegetables. 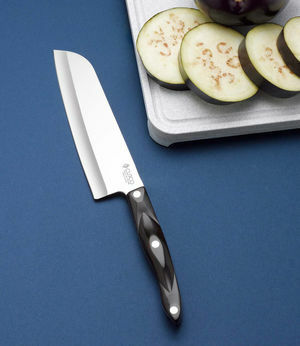 $72 A Santoku version of Cutcos Paring Knife. 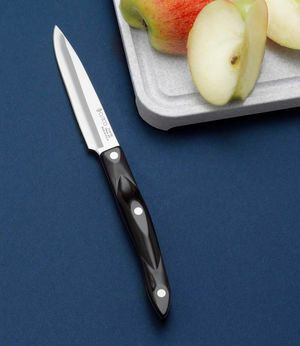 This knife is perfect for slicing small fruits and vegetables like apples and potatoes. 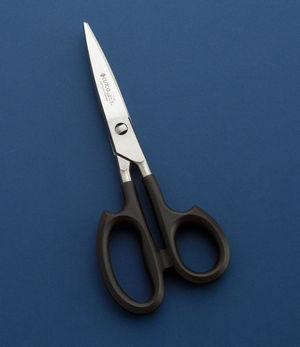 Super-sharp short blade for maximum control and precision cutting. 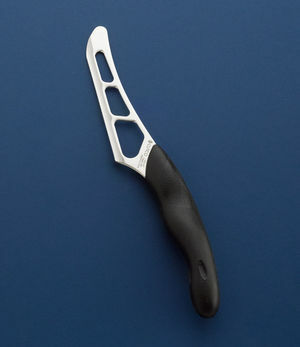 Use it for slicing ginger and garlic on the cutting board. 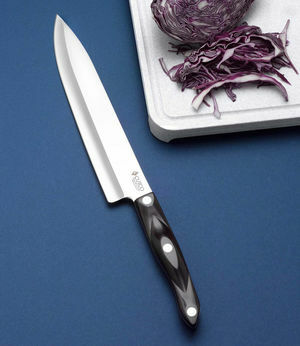 Bestseller $67 The longest of Cutco's family of paring knives. 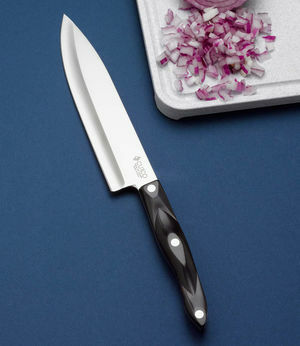 This knife is a trusted prepping essential. Versatile enough to peel, pare and cut a variety of fruits and vegetables. 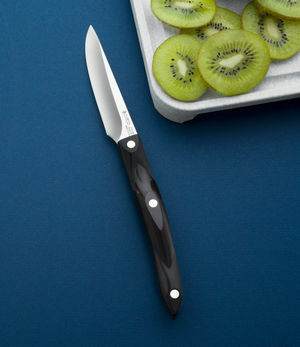 You will find yourself reaching for this knife every day. 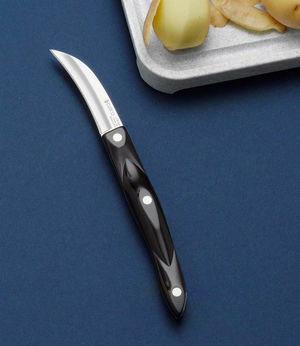 $68 Combining the length of the 4" Paring Knife with the unique shape of the 3" Gourmet Paring Knife, this knife will soon become a food-prep favorite. Versatile enough to peel, pare and cut a variety of medium-sized fruits and vegetables. 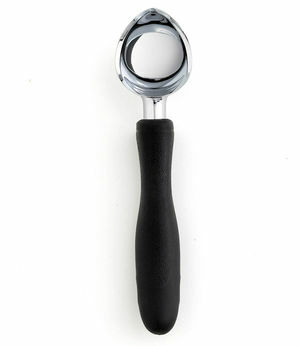 Ergonomic handle gives you control the entire time. 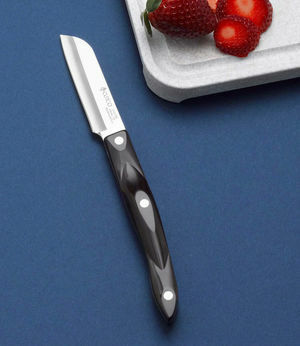 $65 If you prefer a paring knife with a slightly wider blade, this one's for you! 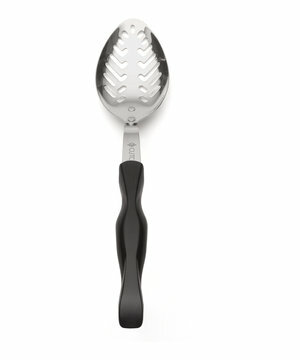 Perfect for paring fruits and vegetables like apples and potatoes. Super-sharp short blade for maximum control and precision cutting. Create vegetable platters, fruit salads and decorative garnishes like radish roses and celery curls. 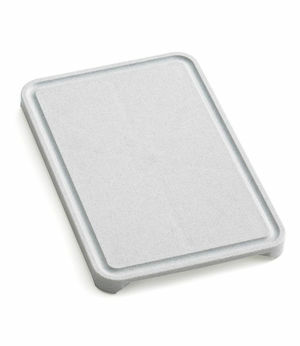 $32 Cutcos edge-friendly cutting boards will not dull your knives like glass cutting boards, stone countertops or ceramic plates. 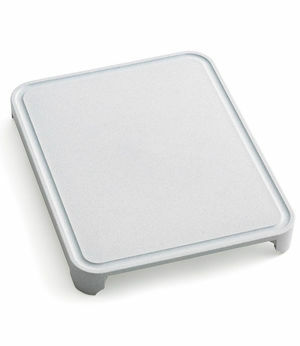 The raised board with plate cutout allows you to slip a plate underneath for easy transfer of ingredients. Juice groove prevents liquids from spilling over the edge. Lightweight and dishwasher safe. 15" X 12". 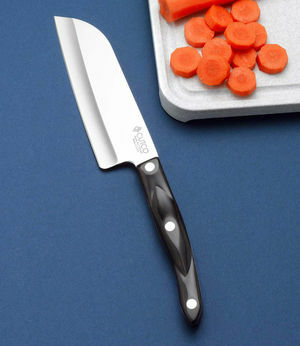 $29 Cutcos edge-friendly cutting boards will not dull your knives like glass cutting boards, stone countertops or ceramic plates. 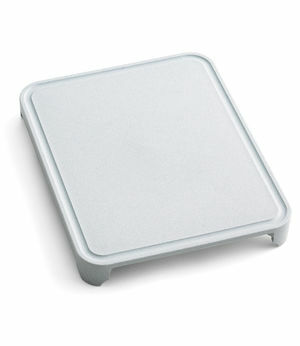 The raised board with plate cutout allows you to slip a plate underneath for easy transfer of ingredients. Juice groove prevents liquids from spilling over the edge. Lightweight and dishwasher safe. 13" X 10". $61 Create delicious, fluffy homemade mashed potatoes. Also try it for mashing squash and making fruit cobbler, fresh pumpkin pie and egg salad. 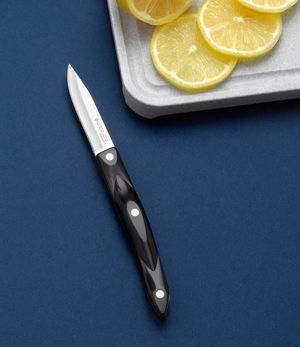 $26 Cutcos edge-friendly cutting boards will not dull your knives like glass cutting boards, stone countertops or ceramic plates. Juice groove prevents liquids from spilling over the edge. Lightweight and dishwasher safe. 12" X 8". $49 Great for meal prep and serving. 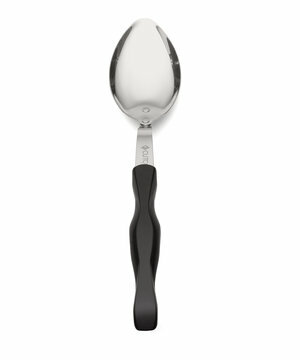 A beautiful mirror-polished stainless steel spoon that is built to last and an attractive addition to your Cutco collection. Traditional handle wont get hot in your hand. Lip prevents tools from falling into pan. Dishwasher safe.